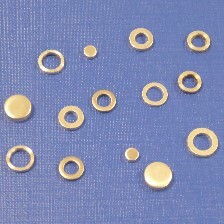 Mu-metal is a soft magnetic alloy with exceptionally high magnetic permeability. The high permeability of mu-metal provides a low reluctance path for magnetic flux, leading to its use in magnetic shields against static or slowly varying magnetic fields. Magnetic shielding made with high-permeability alloys like mu-metal works not by blocking magnetic fields but by providing a path for the magnetic field lines around the shielded area. Thus, the best shape for shields is a closed container surrounding the shielded space. The effectiveness of mu-metal shielding decreases with the alloy’s permeability, which drops off at both low field strengths and, due to saturation, at high field strengths. Thus, mu-metal shields are often made of several enclosures one inside the other, each of which successively reduces the field inside it. Because mu-metal saturates at such low fields, sometimes the outer layer in such multi layer shields is made of ordinary steel. Its higher saturation value allows it to handle stronger magnetic fields, reducing them to a lower level that can be shielded effectively by the inner mu-metal layers. 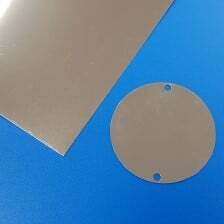 RF magnetic fields above about 100 kHz can be shielded by Faraday shields: ordinary conductive metal sheets or screens which are used to shield against electric fields. Our standard stock range of MuMetal is available for rapid delivery worldwide, and these materials can be supplied in a wide range of sizes, gauges and quantities. We can also cut the MuMetal sheet to size or shape according to your requirements. 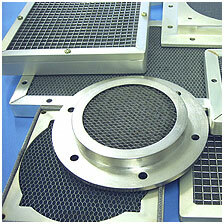 Shielding Solutions hold a large stock of magnetic shielding materials in Europe. Our cold rolled, stress annealed, MuMetal sheet (Grade ASTM A753 Alloy 4) is available in a broad range of standard gauges from 0.35mm to 0.5mm. 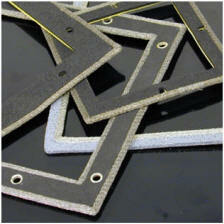 In addition to MuMetal sheet, our stocks contain a vast array of MuMetal magnetic shielding foils, which are available in gauges from 0.25mm to 0.05mm, and these can be supplied by the metre in a variety of widths. 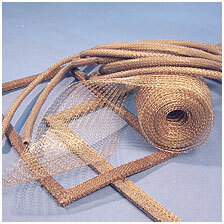 All of our products are supplied with a Certificate of Conformance and can be supplied with a Certificate of Analysis, detailing chemical and magnetic characteristics upon request. The simplest and quickest method to get your design is to send us your 2D or 3D model file which we can then convert and load into our systems. More information about Mu Metal can be found on Wikipedia.